This one is adapted from an American recipe and has gotten great reviews by all who’ve tried the results. 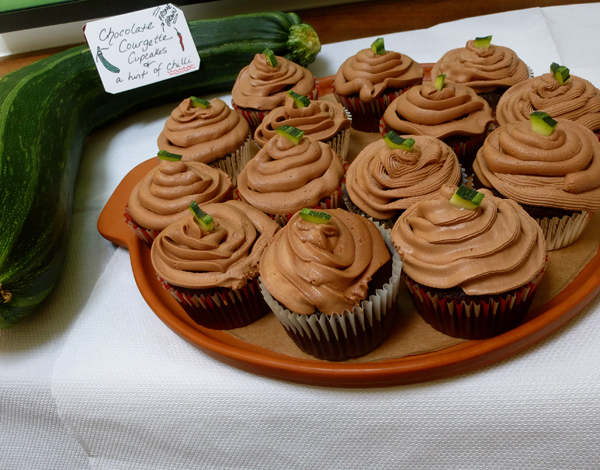 Courgette is very delicate in flavour, so it’s barely noticeable in the cake. It’s main job is to keep the cake extra moist, which is does exceedingly well. This is also a ‘healthier’ cake – as this recipe uses no butter (unless you are topping it with buttercream frosting, like I do). Therefore the cake itself contains less fat, thanks to our friend the courgette. And if you haven’t seen them yet, be sure to check out Part 1 & Part 2 of the “Courgette Challenge” blog series. If you’ve got a recipe to share, do let us know! !